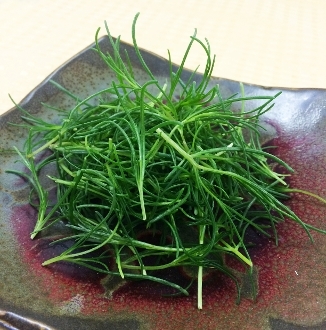 Grassy thin curly leaves with a salty taste & succulent texture. This marine plant is similar to seaweed and naturally pairs great with coastal cuisine. Use as unique bed for sushi & seared scallops or add a vinaigrette to create a tasty side salad.